I love coffee flavored anything. 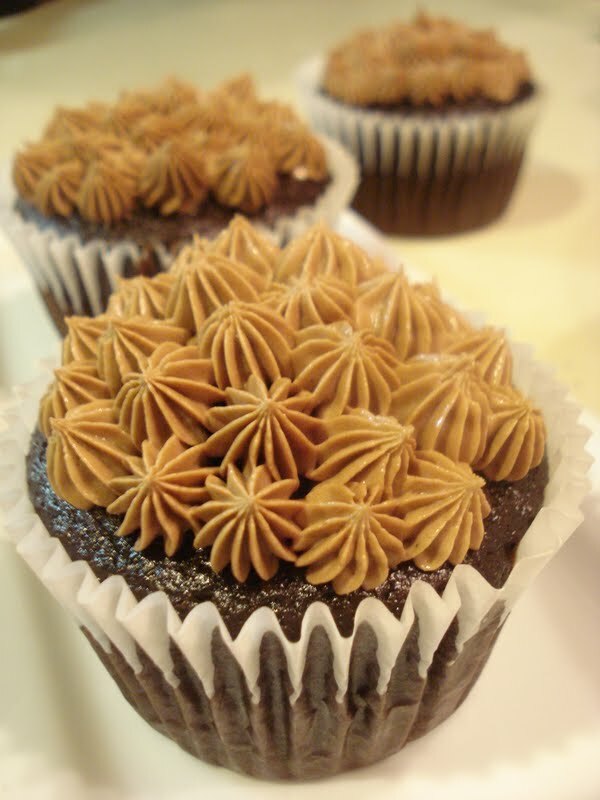 And mocha, a chocolate and coffee combo is really the best... well, after peanut butter and chocolate, that is! And when I found myself craving cupcakes this week, after trying to cool down from the extreme heat by making granitas all week ( which isn't really such a bad thing ! 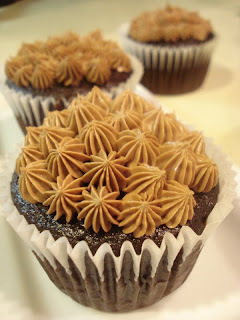 ), I searched for a mocha cupcake and decided on this one. To intensify the coffee flavor, I used espresso powder mixed with hot water, rather than strong coffee and I loved it. 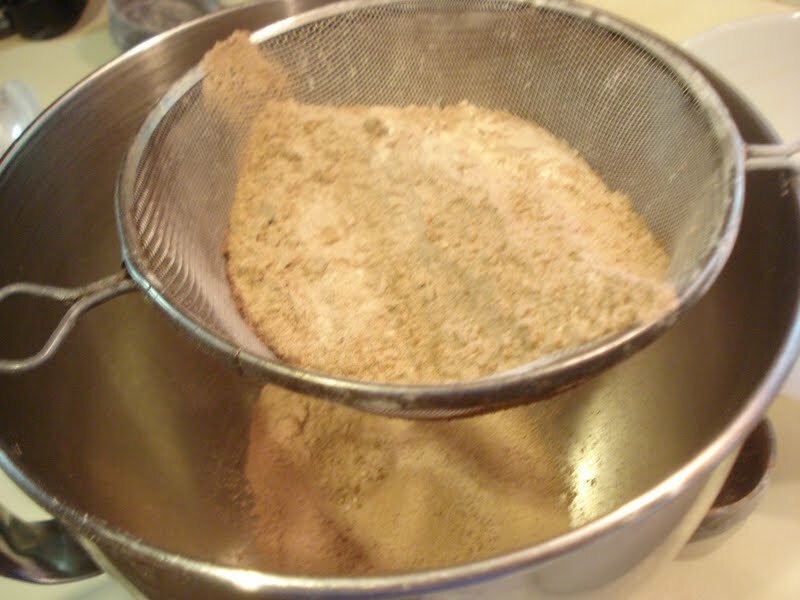 Begin by sifting, then mixing your dry ingredients together into a mixing bowl and stir to combine. In another bowl, combine buttermilk, oil, egg and vanilla. Slowly add the wet to the dry ingredients, mixing on low speed. 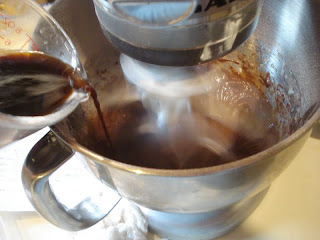 Then combine the hot water with the espresso powder and pour this into the batter mixture. Then spoon the batter into the cupcake liners and bake 18 to 22 minutes. I used jumbo muffin cups to get 6 nice big cupcakes...no little dinky cupcakes around here! (Note: I halved the recipe and made 6 jumbo cupcakes). Preheat oven to 350. Line 12 standard muffin tins with paper liners. 1. 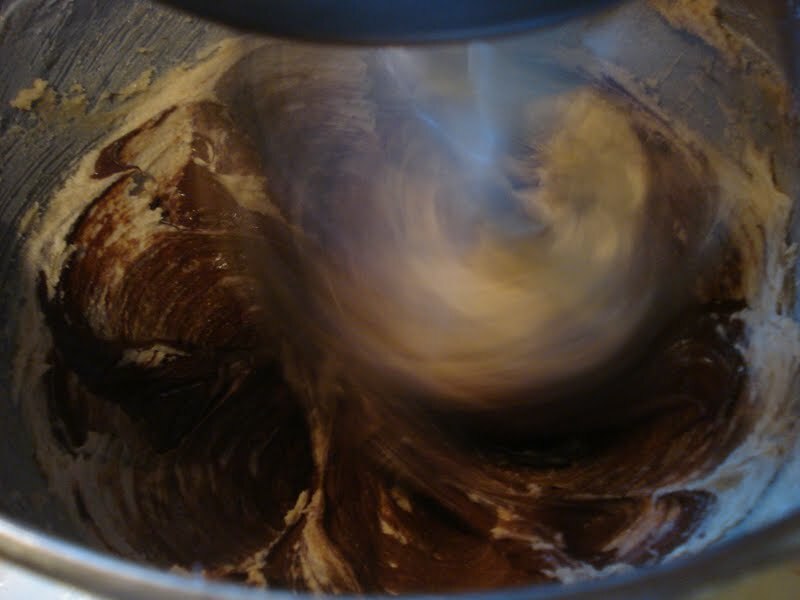 Sift the flour, sugar, cocoa powder, baking soda, baking powder and salt into a mixing bowl or standing mixer fitted with the paddle attachment and stir to combine. 2. 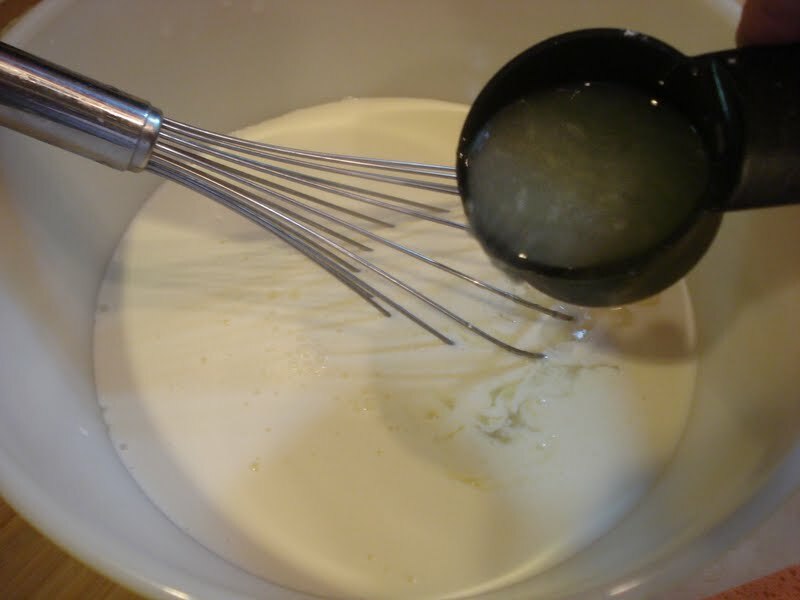 In a separate bowl, combine the buttermilk, oil, egg and vanilla. 3. With the mixer on low speed, slowly add the wet ingredients to the dry. 4. Add the espresso mixture stirring just to combine, scraping the bottom and sides of the bowl with a rubber spatula. 5. 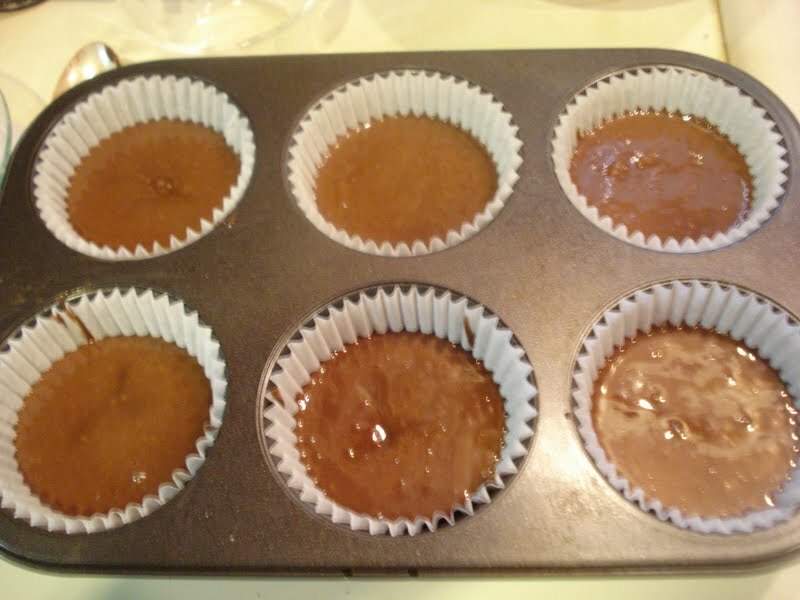 Spoon or pour the batter into the muffin cups and bake 18 to 22 minutes or til a toothpick inserted into the center comes out clean. Cool in the cups 15 minutes, then transfer them to a wire rack to cool completely. 1. 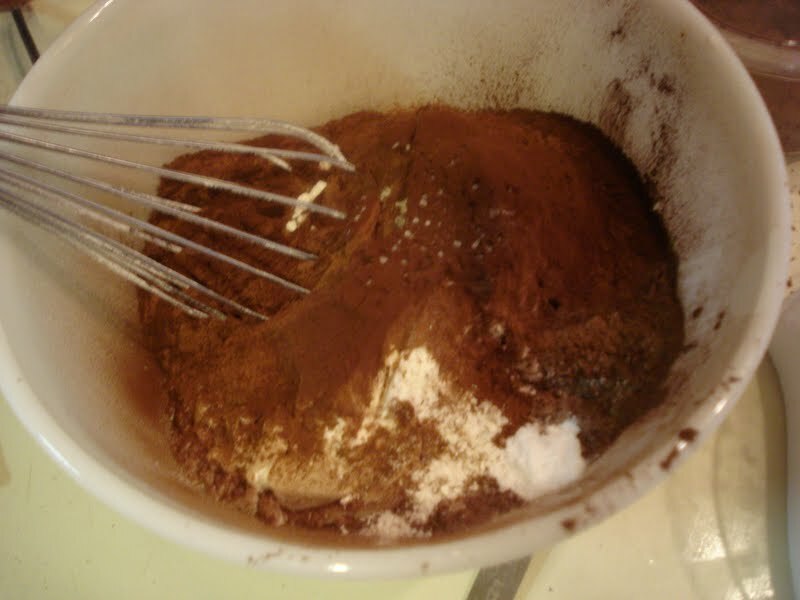 In a medium bowl, combine the sifted confectioners' sugar and cocoa powder. 2. In a large mixing bowl, cream the butter til fluffy. 3. Slowly add the confectioners' sugar/cocoa mixture and cream til well combined. 4. Add salt, vanilla and 1 tbsp. heavy cream ( or milk). Blend on low speed til moistened. Add additional heavy cream (or milk) til it reaches desired consistency. Beat on high speed til frosting is smooth and fluffy. I'm sure I'm not alone in hating this awful heat. I know everyone else across the country must be as tired of it as I am and staying out of the kitchen, if at all possible, is my goal til things cool down! So making desserts that don't require turning on the oven can be a challenge...unless ice cream every day works for you! ( Well, okay, ice cream every day does, in fact, work for me but sometimes you want a little bit more!). 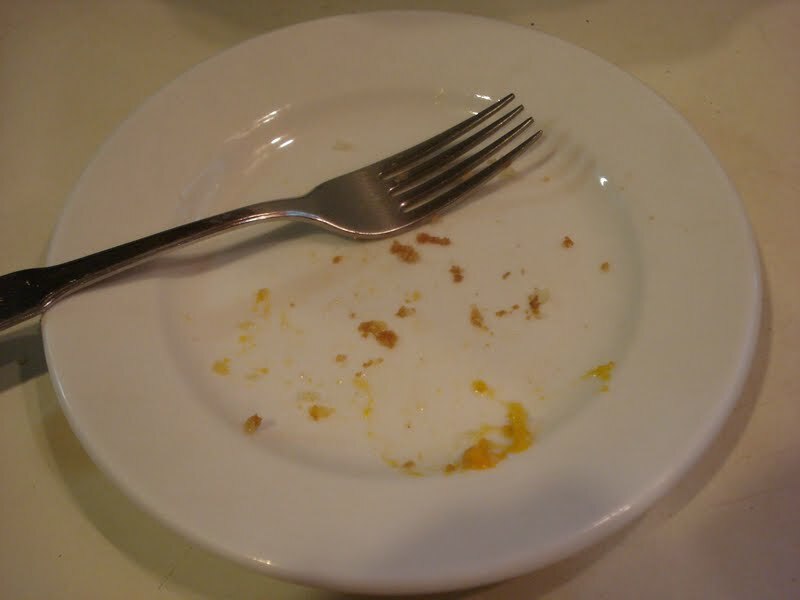 So let me just say, I love the seriouseats.com site and I was so excited when they gave "sweets" a separate category. 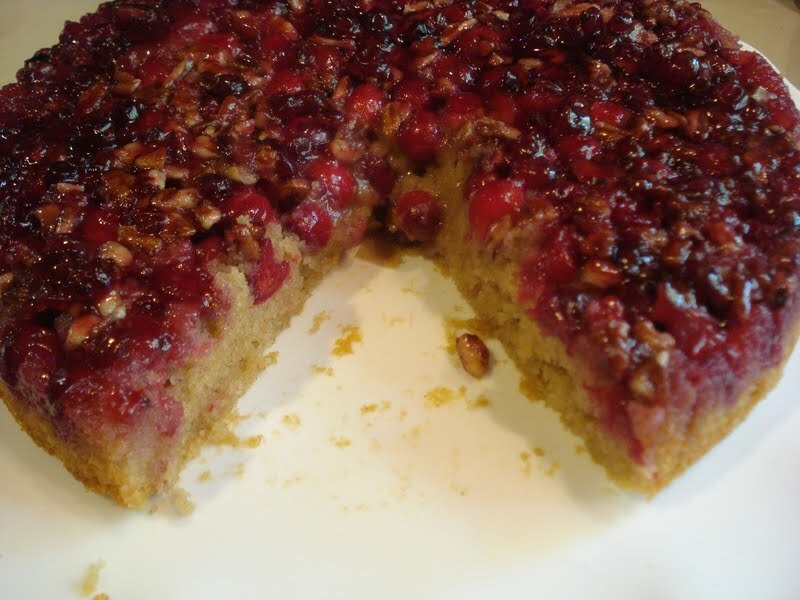 And when I found this no bake "pie" recipe I knew I had to give it a try. It really is delicious. It's sweet and salty and there are only 4 ingredients. 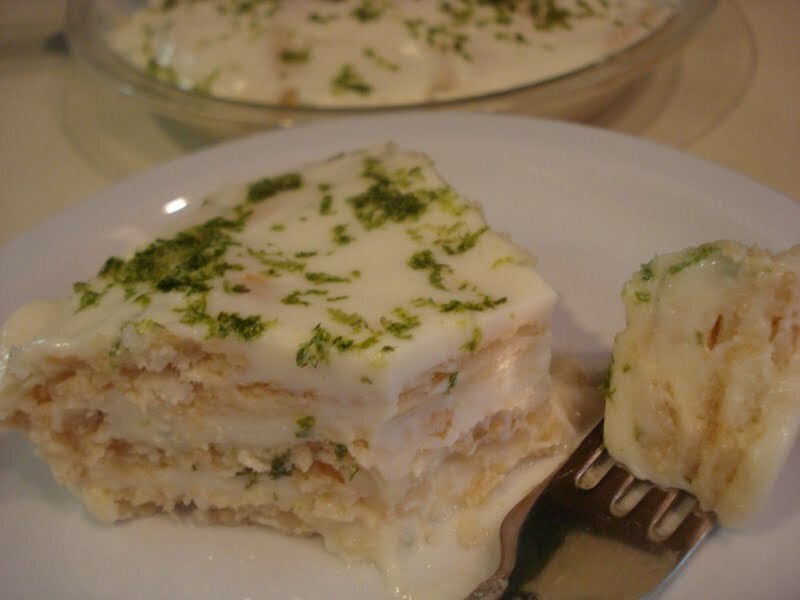 Around here we've been calling it "faux key lime pie". But, hey, whatever name you give it...it's cool, creamy and perfect for dessert on a hot night. 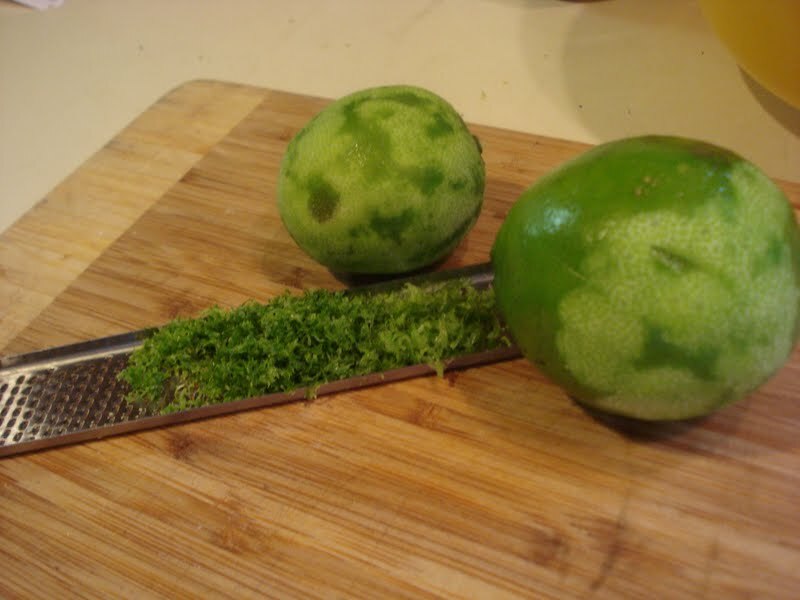 You'll need lime zest for the top so zest them before you squeeze the limes. 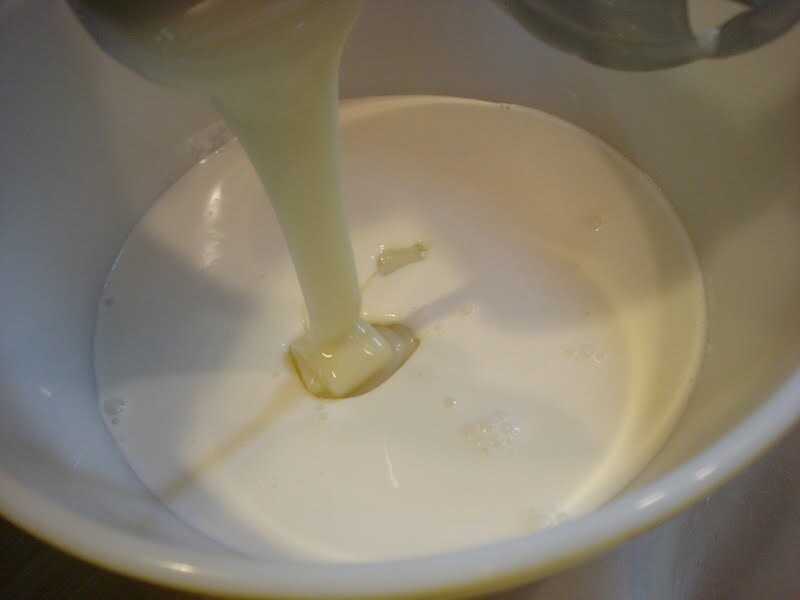 Combine the condensed milk and heavy cream in a large bowl. Add in the lime juice and whisk til thickened. Spread one cup of the filling on the bottom of the pie plate or casserole dish. 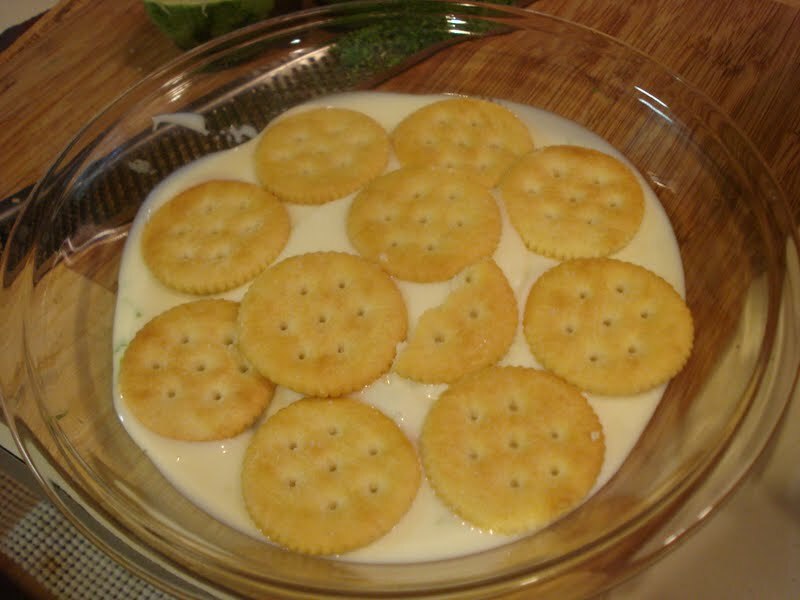 Top with a single layer of crackers, then repeat til all the crackers and filling are used, ending with the filling. 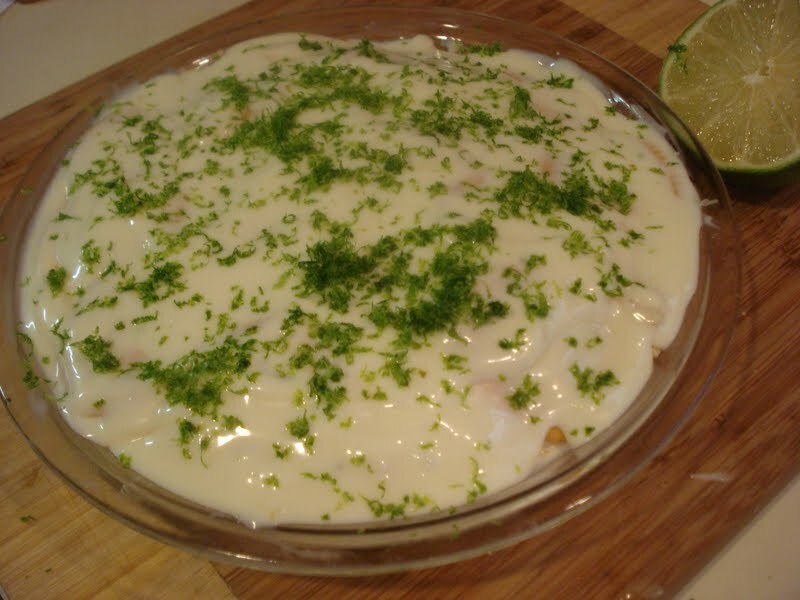 Then sprinkle the top with lime zest and chill at least 2 hours, but overnight is better. You will need a deep dish pie plate or 11" oval casserole. 1. Combine condensed milk and heavy cream in a large bowl. 2. Add lime juice and whisk til thickened, about 1 minute. 3. Spread 1 cup of the filling on the bottom of pie plate or casserole. 4. Top with a single layer of crackers, then repeat, alternating layers of filling and crackers til plate is full. 5. Sprinkle top with lime zest and cover and put into refridgerator for at least 2 hours, but it's best to chill overnight so the crackers fully absorb the custard. * Next time I make this, I'm going to use graham crackers instead of the Ritz crackers. 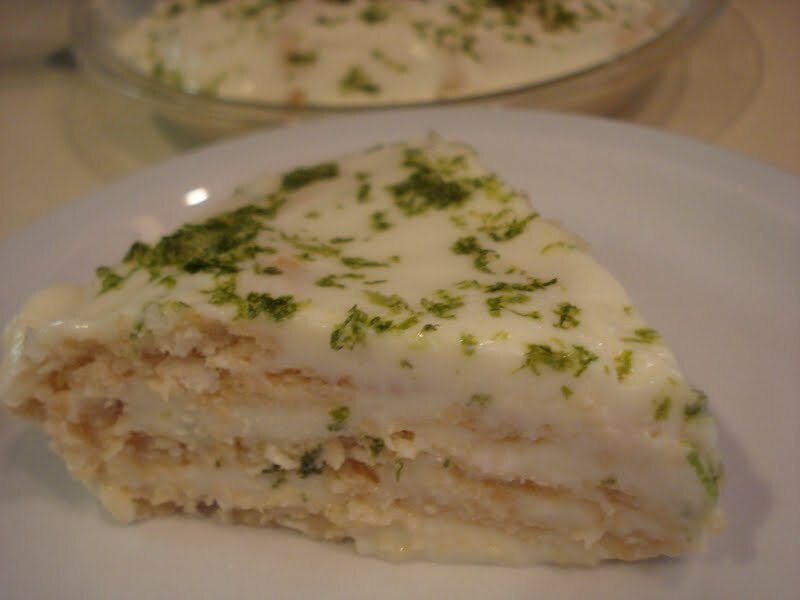 It may taste even more like key lime pie... what do you think? Please let me know if you make it and how it turns out for you. 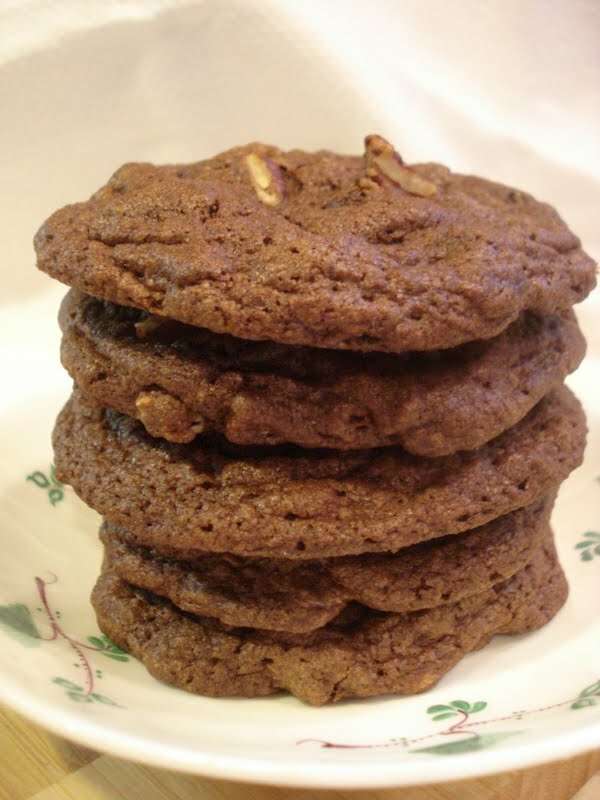 I've been looking for a chocolatey double chocolate chip cookie that's thick like a bakery style one and I found this recipe in one of the cookbooks I recently bought, "The Sweeter Side of Amy's Bread". The "secret" to the chocolatey flavor of this cookie, I think, is in the quality of cocoa powder you use. I had some Ghirardelli's and some Valrhona so I used both and it gave this cookie a rich deep chocolate flavor that's so good! Also adding melted chocolate into the dough gives it more chocolate flavor. The original recipe calls for toasted pecans so I decided to divide the dough in half and put half with pecans and half without since the crowd I'm making these for probably don't all love nuts in their cookies! Personally...I love nuts in mine! I made the cookies smaller than the 3 ounce size in the recipe. Mine were approx. 1.2 ozs. and this gave me a 3" cookie. 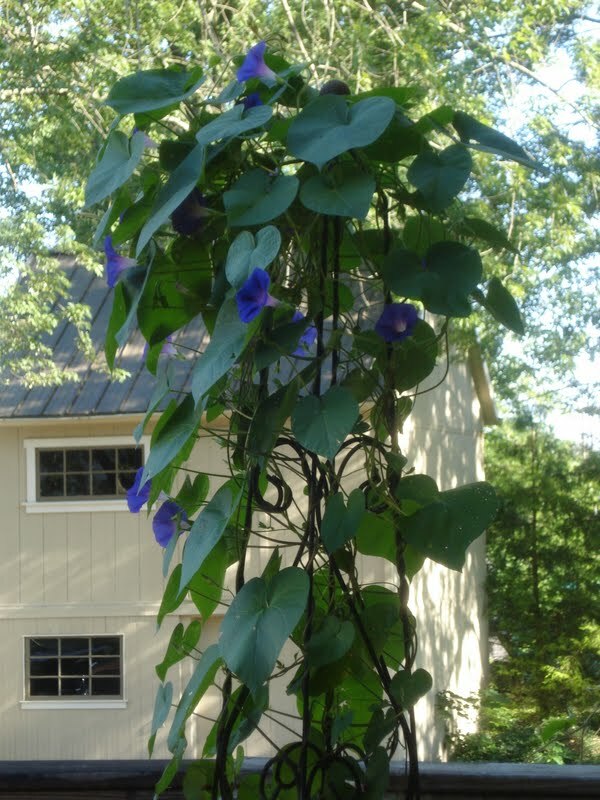 It was such a beautiful morning here, this morning I couldn't resist showing you my morning glory that puts on a show for me every morning! Happy baking! 1. In a medium bowl, combine flour, baking soda and salt. Set aside. 2. In a heatproof bowl, melt 1 1/2 cups of the semisweet chips , stirring til smooth. Set aside to cool. 3. Cream butter and sugars on medium speed for 2 minutes, or til light and fluffy, scraping the sides and bottom of the bowl occasionally. 4. 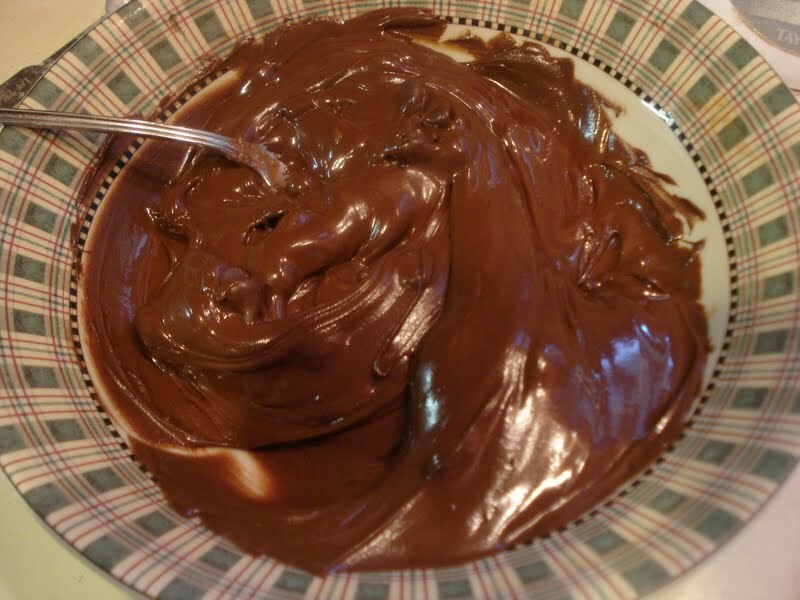 Pour in the melted chocolate and continue mixing til the mixture is uniform in color. Make sure the chocolate is not hot or the butter will melt. 5. Gradually add the eggs and vanilla, mixing well to combine. 6. 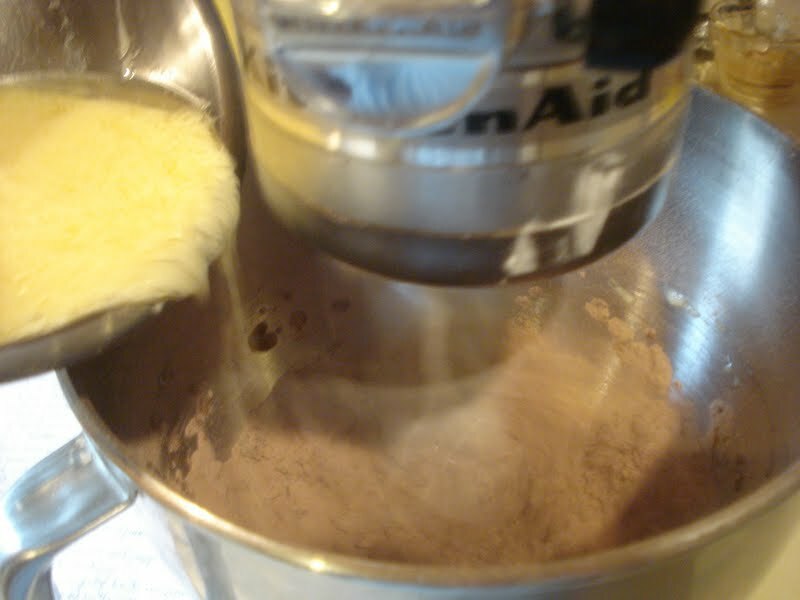 With the mixer on low speed, ad the dry ingredients in stages. Mix only til it's all combined. Scrape the bottom and sides of the bowl to be sure all the flour is incorporated. 7. Stir in the remaining chocolate chips and nuts. 8. Chill the dough in the fridge til it's firm but not hard. 9. Scoop out heaping tablespoonfuls of dough ( mine weighed 1.2 ozs.) and place onto baking sheets, spacing about 2" apart. Note: If you're making these cookies larger, make them approx. 3 ozs. each, about a scant 1/2 cup size. 10. Bake the cookies between 13 and 15 minutes. ( 18 to 20 minutes, if making 3 oz. size). They should be just set when done. Cool on baking sheets 5 minutes, then transfer to a wire rack to cool completely. There's something so comforting about upside down cakes. Warm fruit on top with a delicious delicate cake underneath. It's the best! 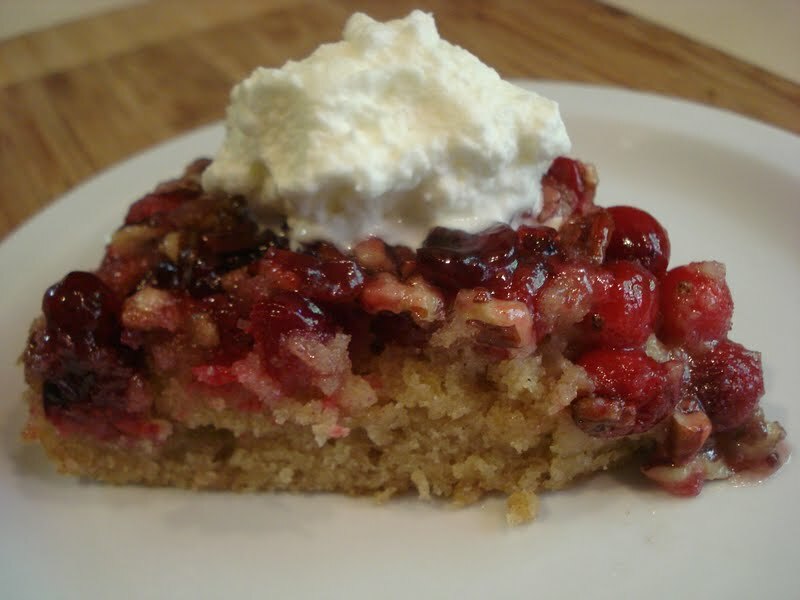 No I know it's a little odd to be surrounded by so much fresh fruit now that summer is in full swing but I came across this recipe and remembered the two bags of frozen cranberries I still had left in the freezer. I could have used fresh pears or apples but I just love the flavor of cranberries...and oh, that beautiful color! Let's think Christmas in July. I found this wonderful book called " Sweet Times, Simple Desserts for Every Occasion" and guess who wrote it? Dorie Greenspan. It's from 1991 and I didn't even know about this book til I came upon it at a local outdoor art show in the park this weekend. They had a booth of all kinds of books and this one just jumped out at me! Lucky me! This cake is easy to make and would be perfect for a quick dessert to make for company. It's great just with a dollop of whipped cream. Dorie suggests using pears or apples and I could really see how apples would be ideal since there's a full teaspoon of cinnamon in the batter. Now that would be a great Fall dessert. 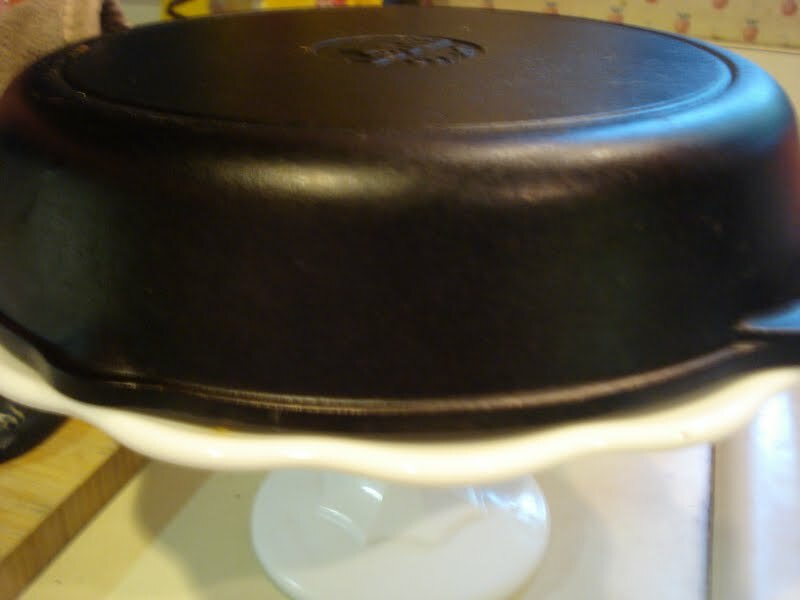 I used a round cake pan but I bet you could also use a cast iron skillet like I did for this cake. Brush the top with red currant jelly ( or really any jelly flavor you have would, I'm sure, be fine). The cake is delicious warm or room temperature. And don't forget the whipped cream. 1/2 cup ( 1 stick) unsalted butter, at room temp. 1/3 cup milk, room temp. 1. Position rack in center of oven and preheat to 350. Get ready an 8" round cake pan. 2. Melt the 6 tbsp. butter in a small saucepan, then add the 6 tbsp. sugar and stir til the mixture comes to a boil. Pour this evenly over the bottom of the cake pan. 3. Sprinkle the nuts over this, then the cranberries, in a single layer. Set aside. 4. In a medium mixing bowl, whisk together the flour, baking powder and cinnamon. 5. Cream the butter, then add in the 1/2 cup of sugar and continue to beat on medium speed til the mixture is pale and creamy, about 3 minutes. 6. Add in the vanilla, then beat in the eggs, one at a time, scraping the bowl occasionally. Beat on medium speed for 2 minutes. 7. With the mixer on low speed, add in half the dry mixture, mixing only til combined. 8. Gently mix in the milk, then add the remainder of the flour mixture. 9. 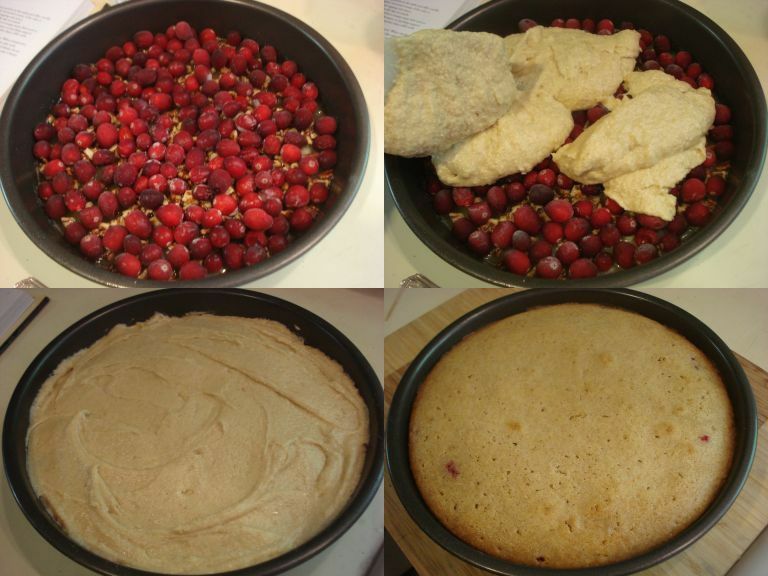 Spoon the batter over the cranberries and smooth out the top. 10. Bake 40 to 45 minutes or til the cake is golden and a toothpick inserted into the center comes out clean. 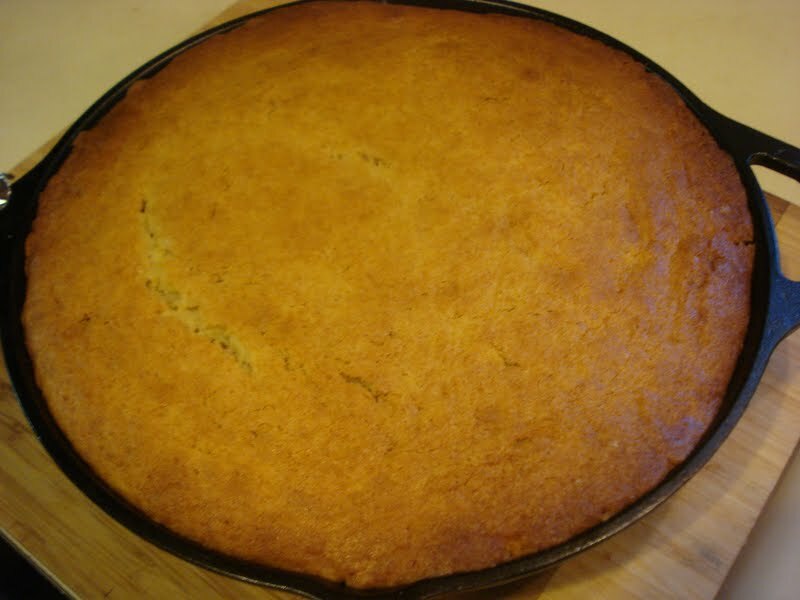 Run a knife around the sides of the pan and turn the cake out onto a cake plate. 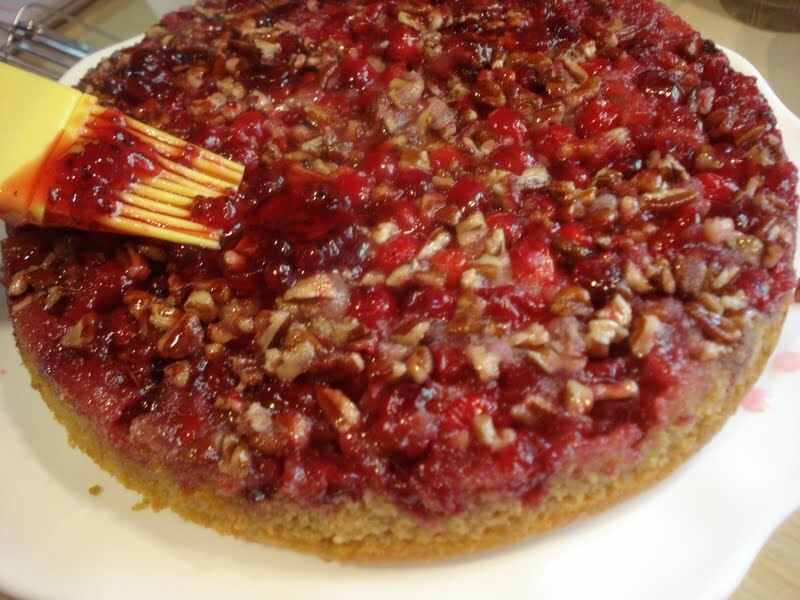 ( If any berries stick to the pan, just scrape them off with a knife and spread them on the cake). 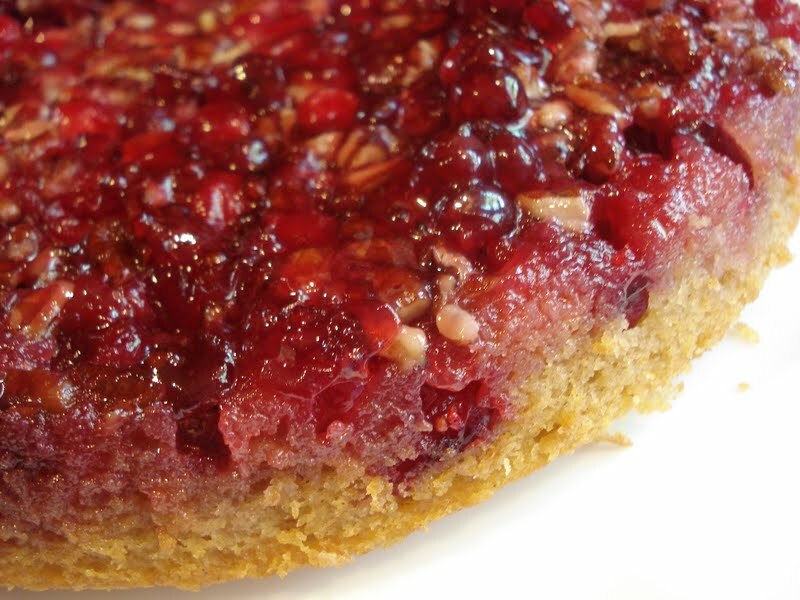 Warm the jelly, just til it liquifies, (I warmed in the microwave) and brush onto the top of the cake. 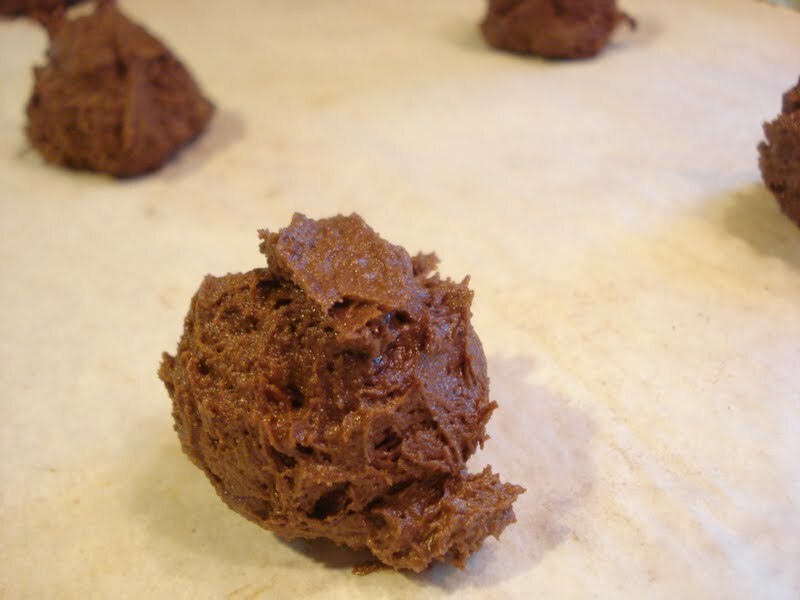 I know this is a cookie blog but every now and then I can't resist passing along a great recipe for something other than cakes, cookies or pies. With a long holiday weekend upon us I thought I'd share a recipe that is a great picnic salad that we just love around here. My son, Kris, can never get enough of this and it's the most requested. And you don't have to worry about this salad getting spoiled in the heat like a mayonaise salad. The recipe is quite old...vintage, in fact! It originally came from an old issue, probably from the 1980's, of "Better Homes and Gardens" Magazine and I've kept it all these years. You can switch out any of the ingredients to suit your taste. If you don't like olives ( how could you not!?) you can leave them out. Same thing with the capers. We really don't like sun dried tomatoes so I left them out of our salad. You can also add in anything else you might think of that would sound good, such as parsley or roasted red sweet peppers, perhaps. Makes 8 side dish servings. Double or triple the recipe for more people. One quick note: The original recipe is actually called "Wild Rice Salad with Balsamic Vinaigrette" but we love orzo so much that we subbed all orzo for the wild rice. I'm sure the wild rice would be great so I'm giving you the original recipe as it's written. 1/3 cup chopped sun dried tomatoes, dry packed ( soften tomatoes by placing them in boiling water for 2 minutes, then drain). Other add ins: Diced red onion, parsley or anything else you can think of! 1. 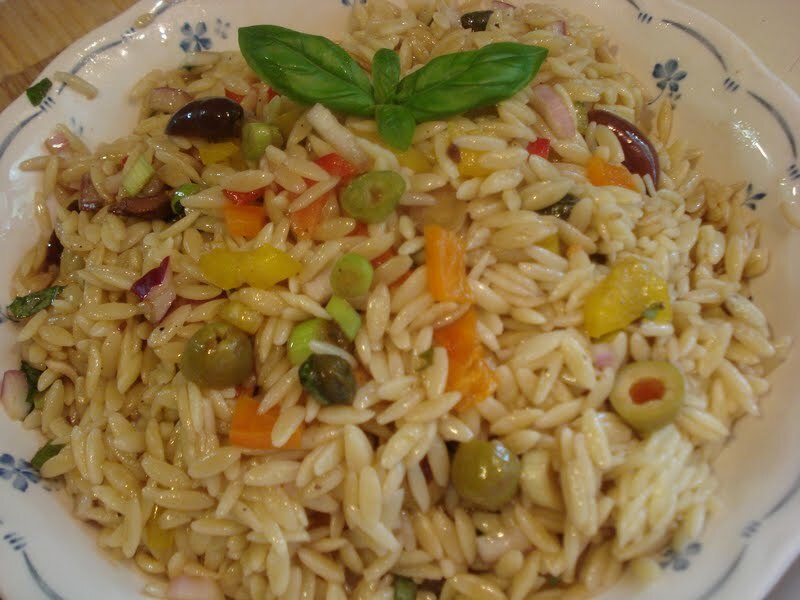 In a large mixing bowl, combine cooled rice and orzo, peppers, olives, tomatoes and capers. Set aside. 2. In a screw top jar, combine olive oil, vinegar, basil, shallots ( or green onions), garlic and black pepper. Cover and shake well. 3. Pour the vinaigrette over the rice/orzo mixture and toss to coat. (Note: I found this was too much vinaigrette for this amount of rice/orzo so I used some over ripe tomatoes sliced with fresh mozzarella. Yum! You can save it to use over other things, too, like a green salad or chicken or fish). 4. Cover and chill for at least 4 hours. Stir in nuts before serving, if using. 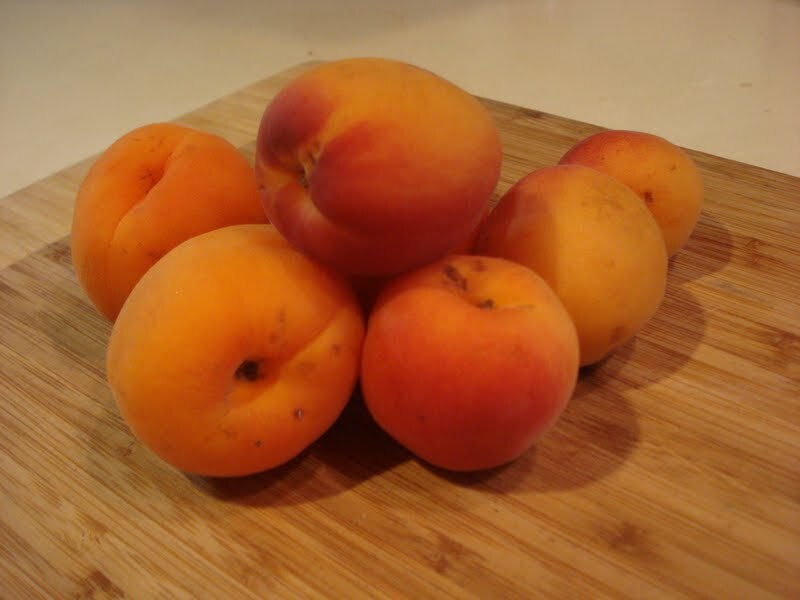 I know it's the 4th of July Holiday this weekend but I couldn't resist these beautiful apricots in my local farm market. They were calling me! And I just had to respond. So no blueberry strawberry- red, white and blue kind of dessert this hoilday. Nope. 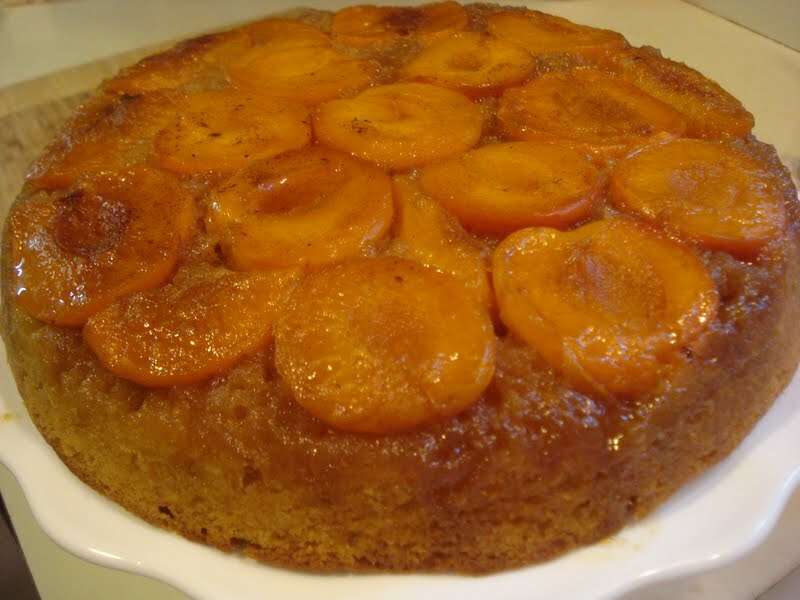 Just a delicious fresh apricot upside down cake. Which, by the way, is so so good! I have to say I've never really given the poor fresh apricot much attention before. I love them dried and I make dried apricot almond scones almost every week, but fresh? Never. Eaten out of hand, they don't do much for me but once baked, they take on a sweet lovely flavor. Upside down cakes are so fun. 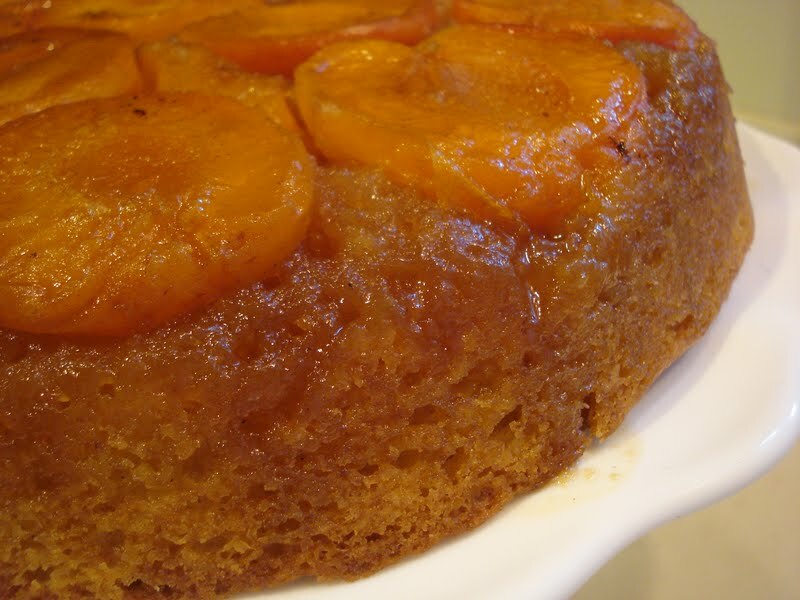 And this one is baked in a cast iron skillet so you just melt the butter, add some brown sugar and place the apricots over top. Then spoon the batter over all that and bake it in the skillet. So please, give this cake a try. It got rave reviews on epicurious.com so I knew it would be a winner. I took note of the remarks about too much butter and sugar for the topping so I cut down the amounts by half and I'm glad I did. This revised amount is perfect. 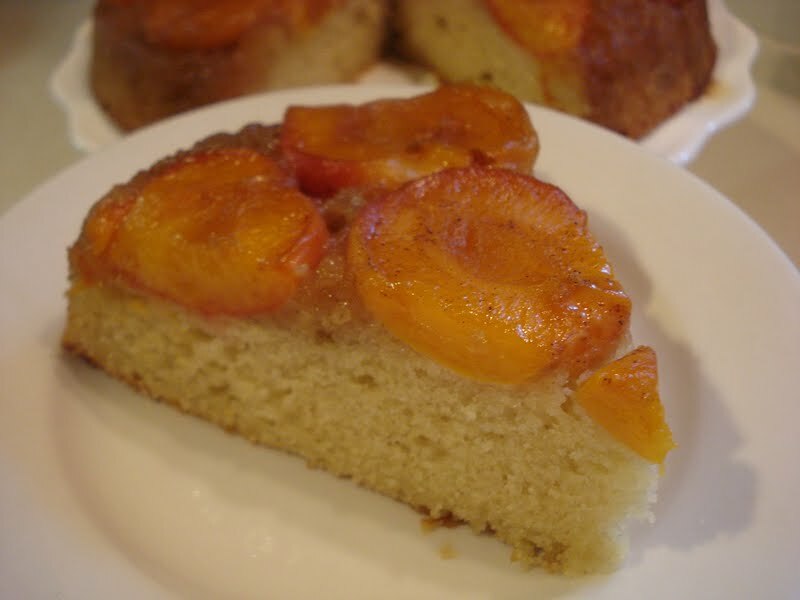 This cake could be made with some other stone fruits, too. Nectarines or plums, perhaps? And if you don't own a cast iron skillet yet, you need to buy one! They're the original non stick skillet. Look how pretty the other side is, too! And don't say I didn't warn you. Once the cake cools down a little...good luck resisting cutting yourself a nice big slice. But hey, you deserve it, right? After all, you did all the work! Don't forget a big dollop of whipped cream or vanilla ice cream for the top! 1. Heat butter in the skillet til the foam subsides. 2. Reduce heat to low and sprinkle the brown sugar evenly over the butter. Cook, undisturbed for 3 minutes. Not all the sugar will be melted. 3. 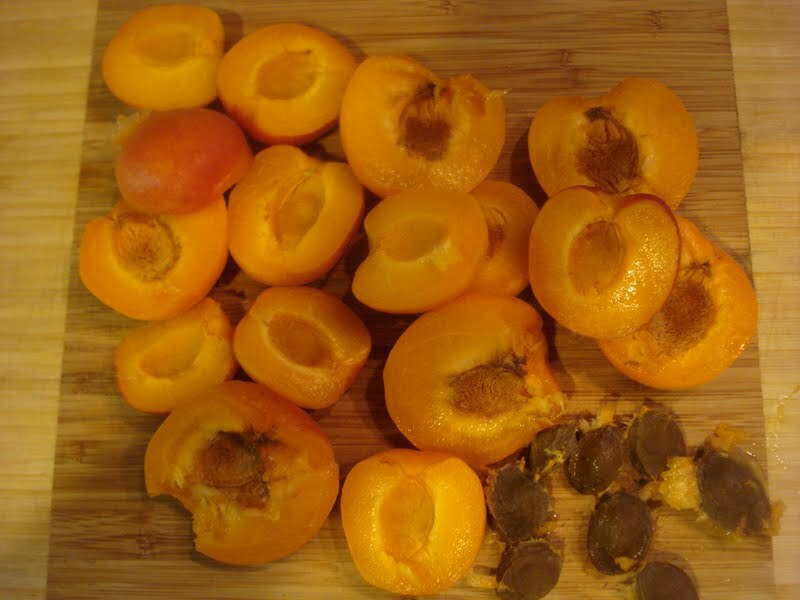 Remove from heat and arrange the apricot halves, cut side down in the skillet, placing them close together. 1. Sift or whisk flour, baking powder, baking soda and salt into a small bowl. 2. In a mixing bowl, beat butter, sugar and both extracts on medium speed til pale and fluffy, about 3 minutes. 3. 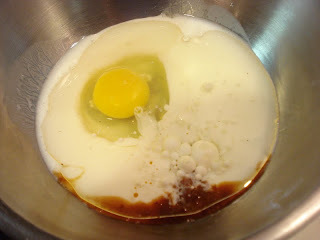 Beat in eggs, one at a time, then beat til mixture is creamy and doubled in volume, about 3 minutes. 4. Reduce speed to low and add flour mixture in 3 batches, alternating woth the buttermilk, beginning and ending with the flour. Beat til just combined. 5. 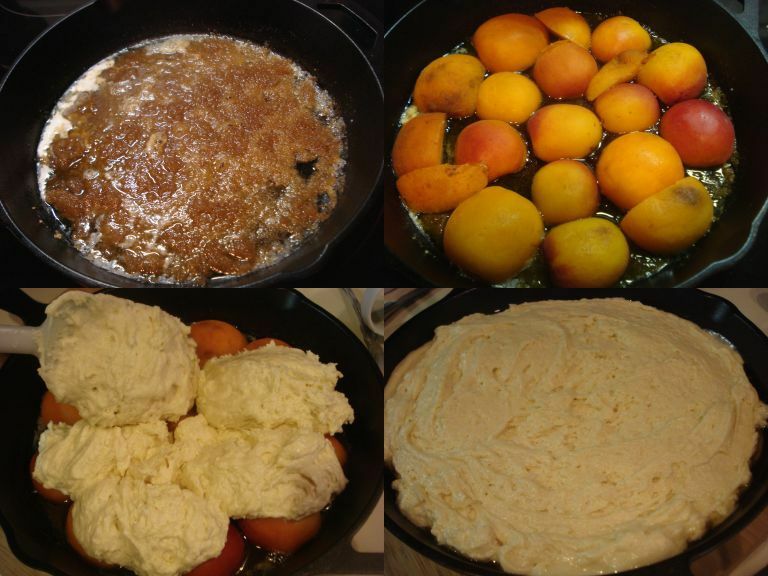 Gently spoon the batter evenly over the apricots and spread evenly. 6. Bake 40 to 45 minutes. 7. Immediately invert cake onto a large plate. The cake is best served slightly warm or room temperature, with a dollop of whipped cream or vanilla ice cream. Yum!